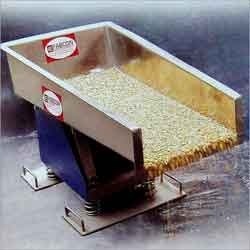 Our product range includes a wide range of vibratory feeders. We are among the prominent manufacturers and exporters of a wide range of optimum quality Vibratory Feeders. By using rigorous quality assurance procedures and advanced testing tools, the optimum quality of the offered feeders is maintained at all times. Owing to their ease of operations, optimum energy efficiency and longer service life, these feeders are highly demanded.